Cameron Boucher isn’t one to sit still. This year alone he’s released an album of covers, a four-song EP with Sorority Noise, engineered Ruby Nightingale’s record, and has teased new music from his other band Old Gray. Next week he’ll be hitting the road with Sorority Noise, supporting Bayside and The Menzingers, but before that, he’s sent The A.V. Club another cover he’s recorded which we’re premiering below. 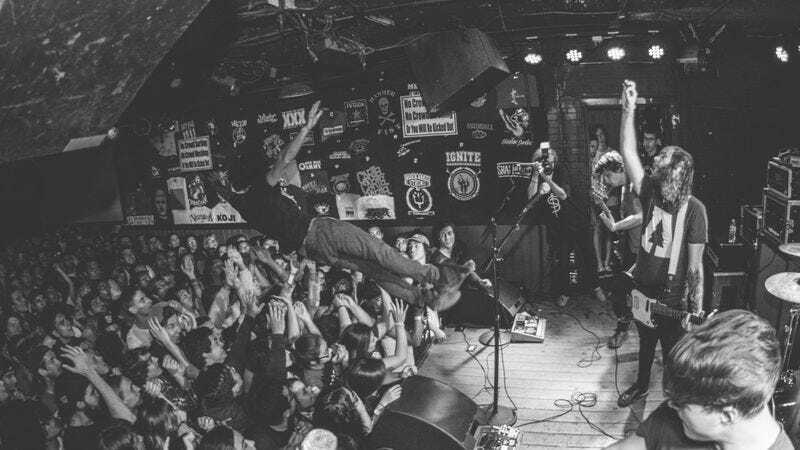 Credited as Sorority Noise’s cover of Motion City Soundtrack’s “Everything Is Alright,” Boucher reworks the peppy pop-punk song into an electro-pop track that’s befitting of The Cure. It’s got all the trappings of Boucher’s best covers, as he takes the song’s existing framework and lovingly twists it until it becomes something new entirely. In a way, it functions as a bit of a sendoff to Motion City Soundtrack as the band preps for its final show, but it’s just as good taken on its own merit.